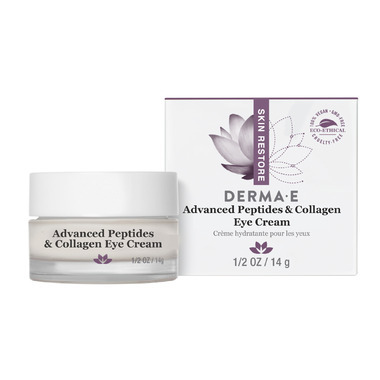 Derma E Skin Restore Advanced Peptide and Collagen Eye Cream will let you see youth restored. This double-action, peptide-infused eye cream with patented Matrixyl synthe’6 and Argireline may help to smooth the look of laughter lines to even the deepest wrinkles. Enriched with plant extract Pycnogenol, antioxidants green tea, vitamins A, C and E, this advanced youth-preserving formula may help soothe and reduce the visual signs of aging to promote more youthful, brighter and radiant-looking eyes. Matrixyl synthe’6: May help support collagen for healthy-looking tone and texture. Directions: Gently dab around eye area with ring finger in the morning and evening. Works well under makeup. Due to the use of natural ingredients, the colour of this product may slightly alter over time. i'm allergic to every eye creme, but not this one. It is really rich and nice! Very thin with no texture. Does absolutely nothing for the eyes. I was expecting it to provide a bit more hydration, at the least, but it actually feels like it's drying out my under eyes. First time that Derma E has disappointed me. Oh well, it was worth a shot. Took away my dark circles , its amazing and moisturizing and goes well under makeup. I reach to almost everything, not this one . It has no scent too which is such a plus. 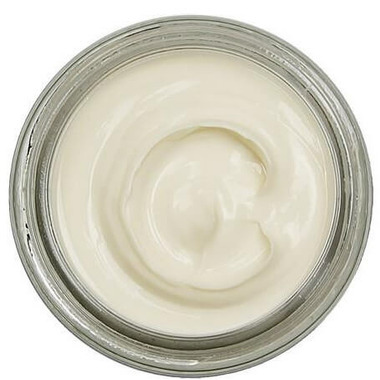 Love this eye cream, so rich and just a small dab goes a long way.